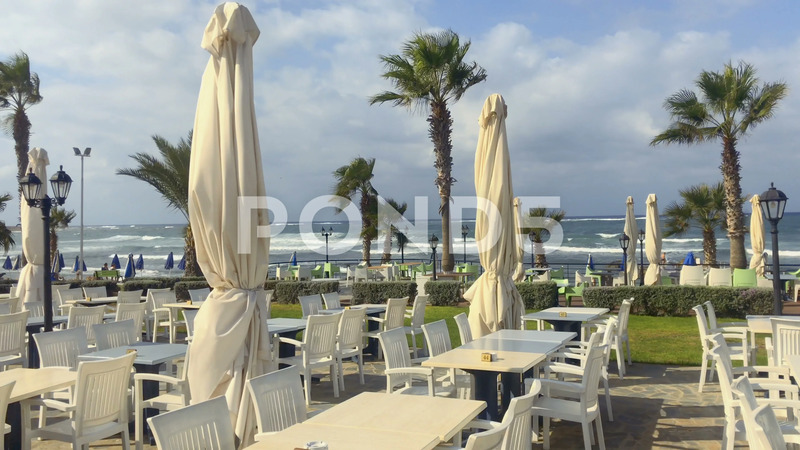 Description: View on the outdoor cafe with tables, chairs and closing parasols. Green palms surrounds a place of relaxation. People walks at background. Good weather. Sea waves covers the beach.